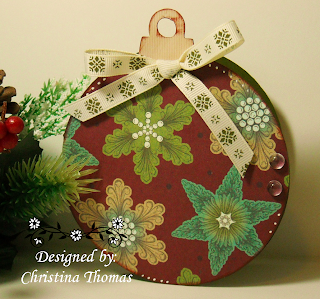 I used the Joys of The Season ornament card from the Cricut. The paper is from the K and Company paper pack. The card fits in a 4 1/4 x 5 1/2 envelope.